As we head into the Primary season, I’m already tired of hearing from candidates about their personal belief system – that they and their family are good, Church-going folk and so I should vote for them. Frankly, I am not particularly interested in which religion they profess, or none at all. I am only interested in whether their moral compass points toward actions that they will commit to undertake if elected, actions that comport with my own sense of right and wrong, and of all of our responsibility to help our brothers and sisters when they need help. My sense of ethics, indeed my personal religion as well, makes me vitally interested in how, whether in the County Council or the State House or in Washington, DC, an aspiring politician will enable their level of government to do a better job than we are doing now, at four tasks. If you are elected, how will you help us to be better at feeding the hungry? Welcoming the stranger? Caring for the sick? Becoming better stewards of our fragile home here on earth? These simple questions provide at least a start, a lens through which to begin seeing whom to vote for, and whom to vote against. Take just one of the four: caring for the sick. As is the case with all four questions, there is an ethical and religious side to the question, and a personal “what’s in it for me” side. The trick is to realize that in the long run, the answer is exactly the same. We are all called to care for the sick, not just one day a week but seven. The ethical / religious question to be thinking about when evaluating an office seeker is this: if this person is elected, will they influence our county / state / country to do a better job than we are now, at caring for the sick? I don’t mean advancing the state-of-the-art, to benefit those who are wealthy enough to afford cutting-edge treatment; I’m told there are people like that, even though they don’t live in my neighborhood. I mean caring for the average resident, your neighbors and mine who live down the street. Will their medical care be more likely or less likely to be there when they need it, if this candidate is elected? The “what’s in it for me” aspect is this. When I’m shopping at Walmart, isn’t it in my own best interest that the clerk at the check-out line be healthy? When they are sick, don’t my family and I benefit if they can afford not only to be treated but also to take time off to get well again, before returning to work? But not only the store clerk: how about that stranger who is putting their vegetables on the same BiLo counter that I do, right before I put mine there? Does it matter to my health, and to my family’s health, whether the family in front of me at the check-out line at the clothing store, or the little girl who just tried on three size 4 dresses before settling on one, is speaking English at the time? Doesn’t helping that whole family to be healthy, benefit all of us? A rising tide lifts all boats. Improving our community’s health spreads that health, and (notably) the opposite is also true. My ethics and my religion both tell me that we in Edgefield County and across the nation need to do a better job, at caring for the sick. An office-seeker whose program includes improving our ability together to care for the sick, not only helps us to build a better society, but also helps my family and yours to be healthier. Think about that, before you go to the polls this election season. 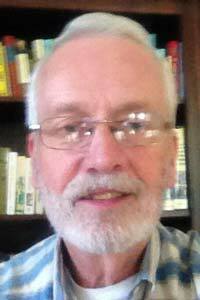 The views and opinions expressed here are those of those of the author and do not necessarily reflect those of The Edgefield Advertiser.